In today’s Bible reading, John the Baptizer arrives on the scene, calling everyone to repent of their sins and produce works consistent with their repentance. (Matthew 3:8). Note the order: Repent –> Works. Nowhere in the Bible is anyone called to an order of Works –> Repent. John warns his hearers that God is already preparing to sort the righteous and the unrighteous. (Matthew 3:10) At this point, John says that he baptizes with water for repentance, but Jesus will come and baptize with the Holy Spirit and Fire. Most Christians have heard of the baptism of the Holy Spirit; most frequently, we think of Pentecostals and Charismatics when we hear the term. However, the baptism of the Holy Spirit is a wholly Biblical concept, seen most clearly in Acts 2 (fulfilling Joel 2), but it’s also mentioned in Acts 11:16, John 1:33, and Mark 1:8. Being baptized with the Holy Spirit is a good thing. 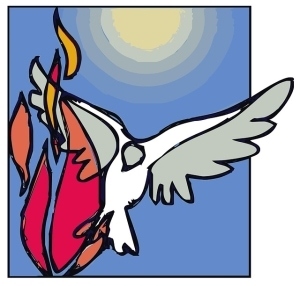 Baptism of the Holy Spirit what unites all Christians with Jesus and with each other. I remember discussing this passage in class in seminary. I openly disagreed with our professor in his interpretation that Jesus would baptize his followers with the Holy Spirit and would give us a fire to accomplish our calling. I pointed out the context that John wasn’t talking about a baptism to “fire up” believers, but a baptism to punish the unrighteous. God’s wrath has been dealt with in its entirety in Jesus’ death. When we get to Paul’s letter to the Ephesians, I plan to discuss the baptism of the Spirit vs. the filling of the Holy Spirit.